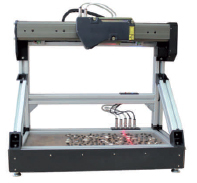 3D Laser Scanning kit is designed for mounting on any type of CNC machine and intended for non-contact scaning of products and obtaining 3D computer-simulated models. 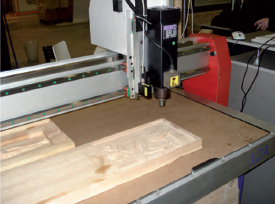 In the scanning mode, he machine CNC system moves the sensor line-by-line over the item prototype. Thus, XYZ coordinate array for the surface is formed, i.e.a digial prototype model is created which is saved as a point cloud file as well as in a common STL format suitable for subsequent use in CNC. 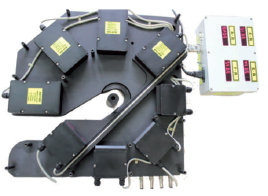 3D Measurement Machine was specially developed to measure suspension arm's parameters for automotive industry. Laser scanner RF620 Series, which is installed in the machine, scans the suspension arm, measures and controls its geometrical parameters. The device is designed for semi automatic control of inner surface of rifled barrel in armed forces during maintenance. RF620HS-650 located on the outer circumference of the pipe, which makes it possible to inspect full profile of the pipe in the course of manufacture. 3D measurement machine is specially designed for non-cintact measurementof geometrical parameters of objects, specifically sunflower seeds. Laser scanner RF620 Series, that is installed in the machine, scans the objects and identifies it"s geometry. As result of scanning we get the parameters of every sunflower seed and their total quantity. 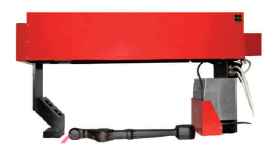 3D measurement machine is specially designed for control of geometric parameters of pipes. 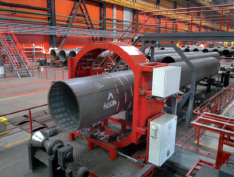 The machine consists of 4 wide-range high speed synchronized laser scanners type RF620HS-300 located on the outer circumference of the pipe, which makes it possible to inspect full profile of the pipe in the course of manufacture. 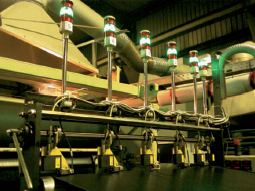 The systems are intended for in-process non-contact measurement, control and regulation of diameter of various objects (wire, hoses, tubes, rods, sausage casings, etc. 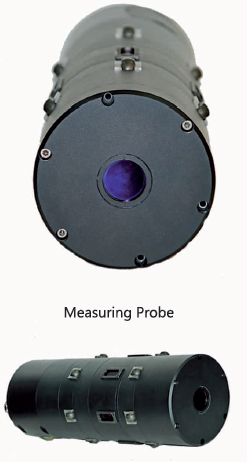 The system is intended for contactless measurements of thickness. The systems is intended for motor shafts measurements. 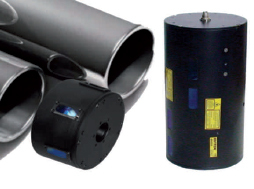 Systems are intended for contactless measuring of inner diameter of gun barrels, cylindrical and taper pipes. The device is designed for automatic smooth bore linearity and inner diameter measurement in armed forces during tank maintenance.